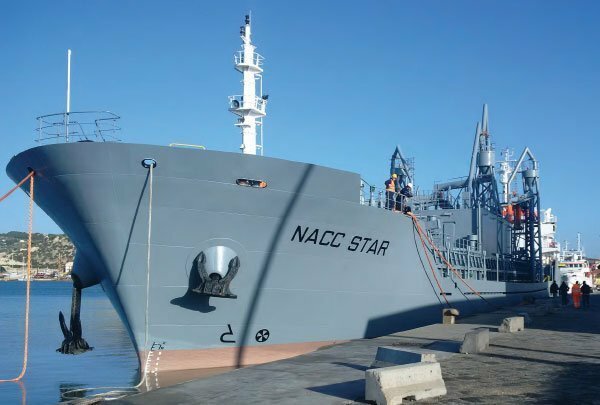 NovaAlgoma Cement Carriers has announced that subsidiary NACC Shipping Canada has been awarded a long-term time charter agreement by Lafarge Canada, for the provision of a pneumatic cement carrier early in 2018. NovaAlgoma will convert one of its modern bulk carriers into an energy efficient pneumatic cement carrier. The converted vessel will have maximum cargo deadweight of above 12,500 tonnes and commence service for Lafarge Canada following the conversion process, which will take place over the next ten months. The vessel will primarily carry cement from Lafarge Canada’s production facility located in Bath, Ontario to distribution facilities throughout the Great Lakes. NACC Shipping Canada will operate and manage the vessel in Canada. NACC is a joint venture created by Algoma Central Corporation and Nova Marine Holding in early 2016. The company now has a fleet of nine cement carriers and another three on order.